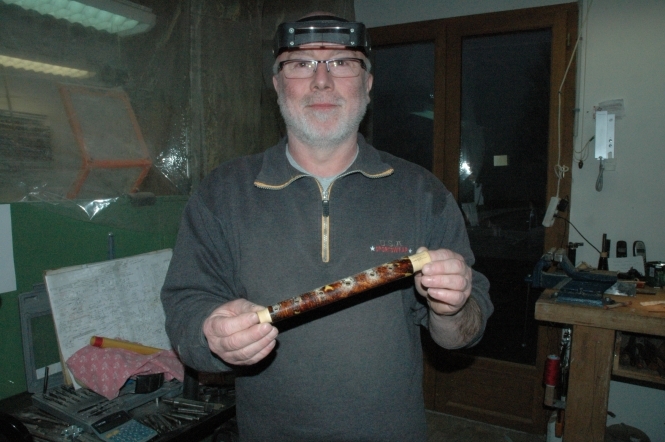 Recorder-maker Etienne Holmblat is self-taught but his high-end musical instruments are now sold all over Europe. Mr Holmblat, 62, learned the basic techniques when he studied mechanics and draughtsmanship at school and on an instrument repair course – then went on to develop much of his art by trial, error and persistence. expensive repairs and his teacher suggested he fix it himself. He went on to get a qualification to mend instruments and opened his shop in Pau, in the Pyrénées Atlantiques. His love of the recorder also came from his teacher.